AT&T plans to broaden its coverage in rural areas and advance software upgrades to facilitate the delivery of 5G services through its cell cites by leveraging its work on a national public safety broadband network with the First Responder Network Authority, Urgent Communications reported Wednesday. “FirstNet gives us a great opportunity to go into the rural markets. 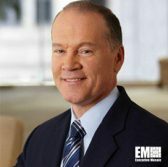 Not only will we be building the network for first responders, it dawned on us that we should also be putting up stores and going after the consumers,” John Donovan, CEO of AT&T Communications, said at the MoffatNathanson Media & Communications Summit. Donovan said the company plans to allocate approximately $2 billion in funds to its FirstNet deployment effort this year and back operations on 20 megahertz of AWS-3 spectrum and 20 MHz of WCS spectrum by tapping personnel involved in the Band 14 equipment installation effort. He noted that AT&T expects to see more public safety agencies transition to FirstNet for broadband services by the second half of 2018.